This was originally posted on testhuddle. Test automation is a prominent part of testing. To improve your test automation code, you should look at development practices. Creating clean code is a good practice to improve the maintainability and readability of the test automation. Recognizing clean code is quite easy. If it reads like prose and you understand the intent (almost) immediately even if you are not the author, then it’s probably clean. 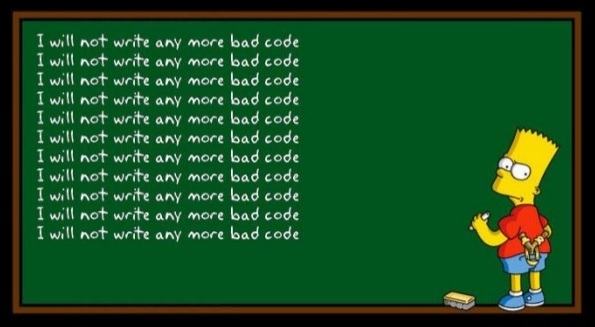 However, writing clean code is difficult. You will need a lot of practice to properly create clean code, but the following topics will help you along the way. Keep in mind that test automation is software development. So why not use good practices from the field of software development? Another example is the naming of your methods. When you write a method printRows, it should only print the rows and for instance not also alter them. When you read the method name, it should do what you expect it to do from the name, no more, no less. To achieve this so called single responsibility of a method, you usually need to apply refactoring. As a final tip on naming, use a coding convention and automate the verification of this convention. This ensures that naming is consistent throughout the complete solution. Conventions around naming have changes over the years. In the early days, the Hungarian notation (prefixing variable names with an abbreviation of the type) was useful, but current integrated development environments (IDEs) show the type of a variable, making prefixing the type no longer necessary. Obviously, you can refactor and take out the registration functionality into a different function as can be seen in the next piece of code. This appears to be quite nice, but now the method login, also does registration! In this case you can easily separate the responsibility to register from the responsibility to login. But the example shows how quickly the function name can become inconsistent with the function behavior. The caller should decide if it is needed to register, so if we create a test that needs to register and login, that test calls the register method followed by the login method. Test automation is software development! So you can improve your automation code by applying techniques that are already applied in software development. Proper naming keeps it easier to understand what is happening in the code. Refactoring is needed to keep the intent of the code clear. Separate the responsibilities into different functions, classes, and packages. Make sure that the caller of your code gets what they can expect from the naming, no more, no less. Previous Previous post: JMeter and WebDriver – Why would you want to combine them?